At RubberCover we only offer the best to our customers. If you place your order before 12:00pm (mid-day) Monday-Thursday we will deliver on the next working day! 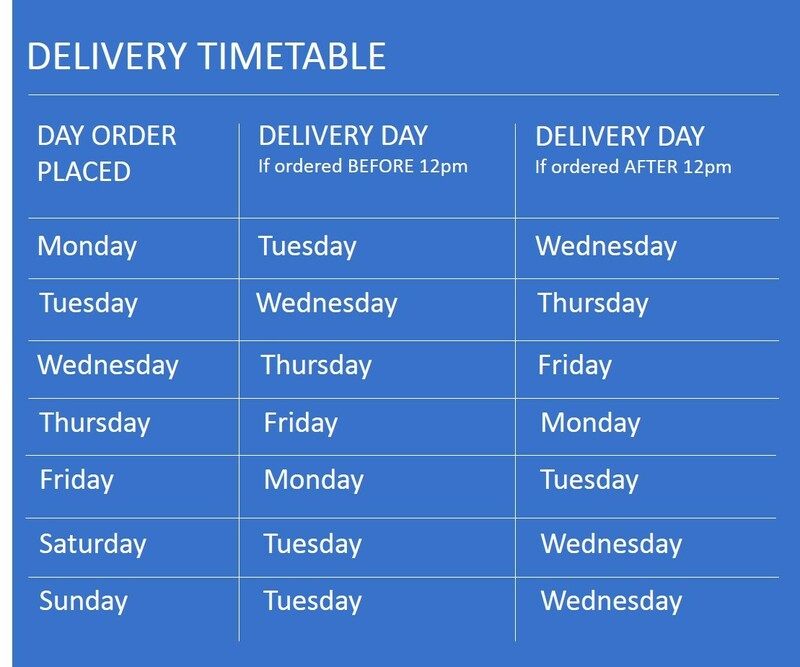 Check the delivery timetable below to understand more. Returns can only be accepted on non-cut goods. So if you’re ordering any of our roofing membrane be sure to order the correct sizes. All return products such as Adhesives, Sealant and Accessories must be returned 14 days after point of sale. If the purchaser is returning unwanted items for any reason other than the items being faulty, incorrect or unsuitable substitutions then a re-stocking charge of 35% of the goods value and carriage charge of £40 will be charged to the purchaser. * Please Note: Scottish Highlands, Ireland and Islands, delivery by arrangement.